Convey platforms have extensive membership capabilities including the ability to customize a member application, take payment, create a membership CRM, assign members to types, and create member groups. Each member has a dashboard that allows them to customize how they interact with the site and its content. 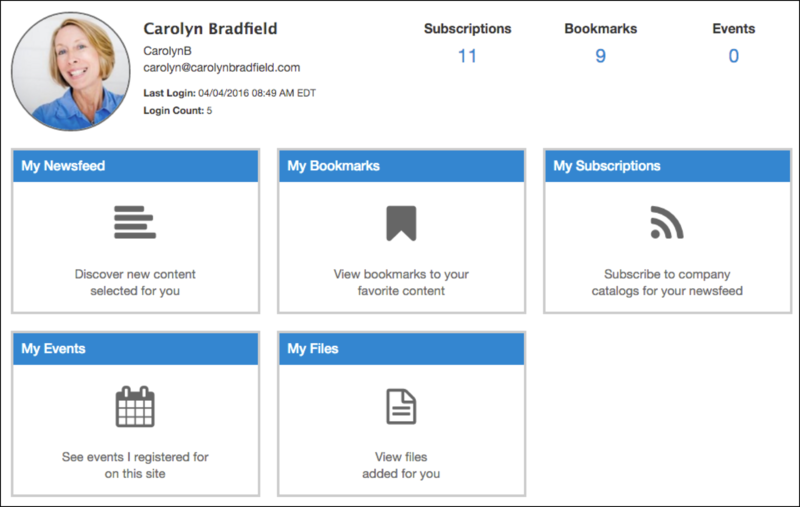 They can subscribe to catalogs to create a custom newsfeed, bookmark content, download files added for them, and create a profile. Keep track of member data in the Convey CRM by setting up customized fields that you populate or that are populated by data from member applications. The CRM has extensive reporting capabilities to view and analyze member data. Create different member types that contain specific privileges to view catalogs and contents. Add member groups that can be managed by a group administrator. Create a member application so that individuals can sign up to become members of the site. Applications have custom fields, an approval process, and can take payment from members based on the type of membership that have signed up for.